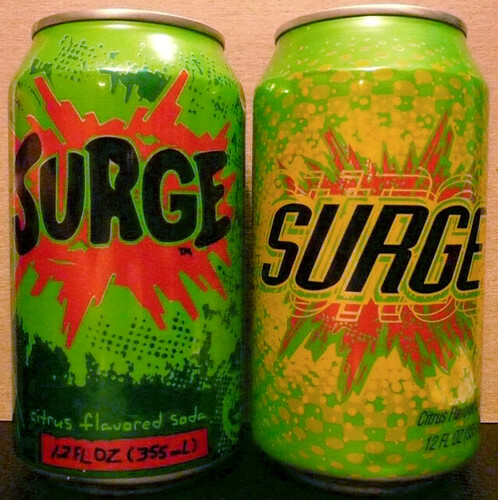 Coca-Cola brought back Surge today. Surge was produced by The Coca-Cola Company to compete with Pepsi's Mountain Dew during the nineties, but I had no idea this soft drink existed before today. It's quite possible Surge was never sold in Canada, or perhaps I just missed it and its 37.2 grams of sugar per can. Do you remember Surge? Are you glad it's making a comeback? I don't remember Surge, but bring back the Hostess Grape, Cherry, or Orange flavoured chips and you'd have a killer meal combo. Never quite understood the resurgence of "classic" foods. The recipe is different. The ingredients are different. The manufacturing process is different. Everything about the food, from taste to flavor to texture, is different. The only thing that remains the same is the packaging. It's literally whatever "close enough" product the manufacture has, stuffed into a vaguely familiar looking exterior, and sold as nostalgia. It's like some plant screwed up a batch of Sprite, but rather than dumping the defective batch, they said "No, wait... we can market this. Let the suckers pay for our mistakes." I'm completely convinced it's the same way "Golden Oreos" got onto the market. Some poor schlub forgot to press the "add cocoa" button to a massive batch of cookies. But why dump them when you can sell a cookie missing an ingredient as a "premium" product? Why oh why, doesn't Cadbury Schweppes bring back "Wink" (grapefruit/orange juice combo pop/soda). That stuff was dynamite with orange juice and vodka. I wish Pepsi would bring back the Pepsi Throwback. Haven't seen it around in a couple of years. I remember Surge. Never tried it though. Citrus is a genus of flowering plant. The plants usually bear fruit, of which there are many types. Just what flavour is "citrus", then? 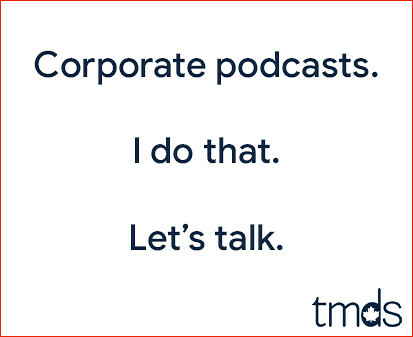 Pretty much anything the manufacturer wants it to be, I guess. @Gumnp I loved Wink. You could definitely taste the grapefruit and orange flavours. Wink went great with gin, too, but gin consumption has been dropping for decades now. Gin and Wink was a great party drink in my university days, because most people stayed away from gin. Today, even martinis are more often made with vodka, in which case I will say, as a former Seagram Canada employee, the drink is not a true martini. I've never had a true martini, not being fond of green olives, and you can get an idea of my gin consumption for the past couple of decades by my disclosure that the one bottle of gin in my liquor cabinet is Seagram's Extra Dry, once the top-selling gin in North America, no longer available in Canada. Maybe it competed with Mountain Dew back in the day, but Canadian Dew now has caffeine in it. Nothing can beat MD. I really miss Clearly Canadian the 90's beverage was my favorite. They started a revival campaign almost one yr ago current sales are at 11,100 we need 25,000 to start production you can BUY cases at www.clearlycanadian.com bring back Clearly Canadian!